Adults take anywhere from 17,000 to 30,000 breaths a day, most of the time without even realising they’re doing it. Breathing is so natural that we usually take it for granted; until something happens that threatens our ability to breathe. When you’re swimming underwater, you’re focused intently on breathing; namely how long you can hold your breath. Strenuous exercise is another good example; the more fatigued you get, the more you become conscious of your breathing, usually because it becomes heavier and more laboured. 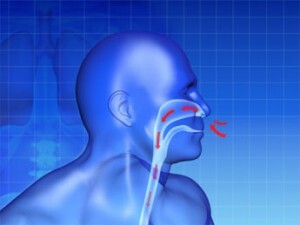 Many people actually don’t breathe correctly, at least not on a consistent basis. “Correctly” means breathing that maximises oxygen exchange in the lower lobes of the lungs. 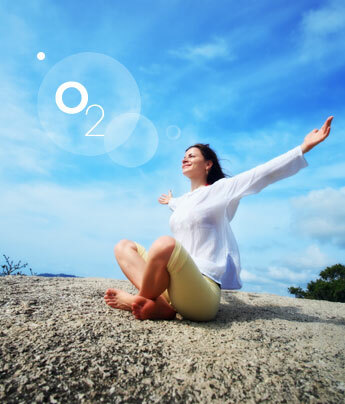 More oxygen equals more nourishment for cells. A structure called the diaphragm separates the heart, lungs and ribs (the thoracic cavity) from the abdominal cavity. As we inhale, the diaphragm contracts, enlarging the thoracic cavity and helping the lungs fill with oxygen. As the diaphragm relaxes, we exhale, forcing carbon dioxide out of the lungs. This is why correct breathing technique is referred to as diaphragmatic breathing. 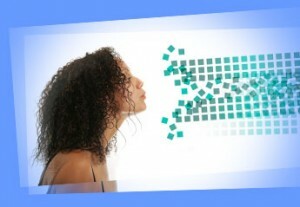 In simple terms, ideal breathing is known as “abdominal” or “belly” breathing. It should engage the belly button, rather than the upper chest. Visually, if you’re breathing properly, your lower belly will rise more than your chest. Find a quiet place and take a few slow, deep breaths, concentrating on letting your abdomen expand fully with incoming air. Place one hand just below your belly button; it should rise and fall about one inch with each breath. There are many reasons why healthy people don’t breathe correctly; stress or fear or holding in your stomach to make it look tighter. However shallow breathing can impair oxygen exchange. Continue to practice to breathe the right way. Breathing correctly can be an aid in relaxation, reduce blood pressure and heart rate, and of course, help deliver the most oxygen to body tissues.